This 8 3/4” x 6” image is printed on an 11” x 8.5” sheet. 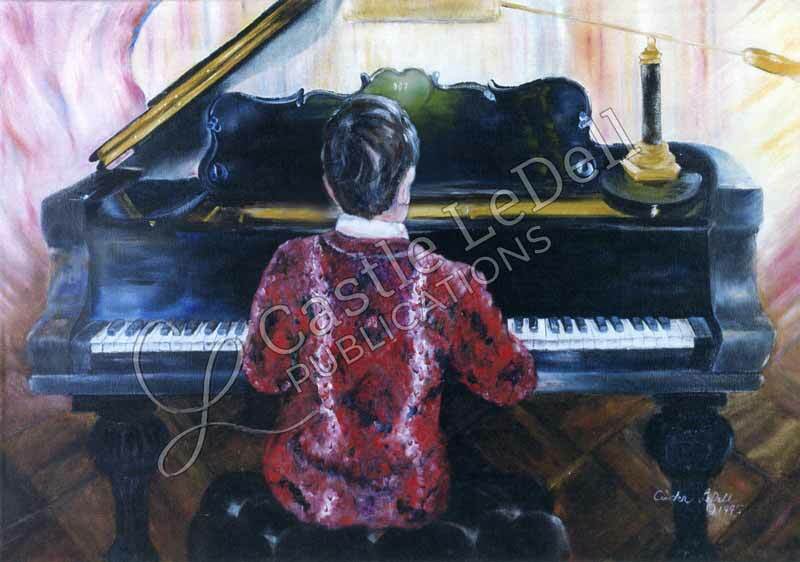 Unless you pick another name, I will write “Boy at the Piano” just below the image. I will also sign and number the image, as it appears above. Price includes shipping to 50 U.S. states. Mats and frames are not included in the prices below. connections will help me with math. That’s weird. I play so hard that I feel as if I have run a mile. I play because I can lose myself in the music. It’s natural. It’s what I am.